For ten hours each week, 300 children in the Triangle create a cacophony of sound using flutes, violins, cellos and drums. The organization Kidznotes uses classical music as a tool to combat poverty by strengthening kids' community and self-esteem. Kidznotes hosts a Renaissance-themed gala on Thursday, April 24th, inspired in part by a local children's author. Host Frank Stasio talks with Katie Wyatt, Kidznotes Executive Director, and Julie Fortenberry, author of "The Artist and the King". 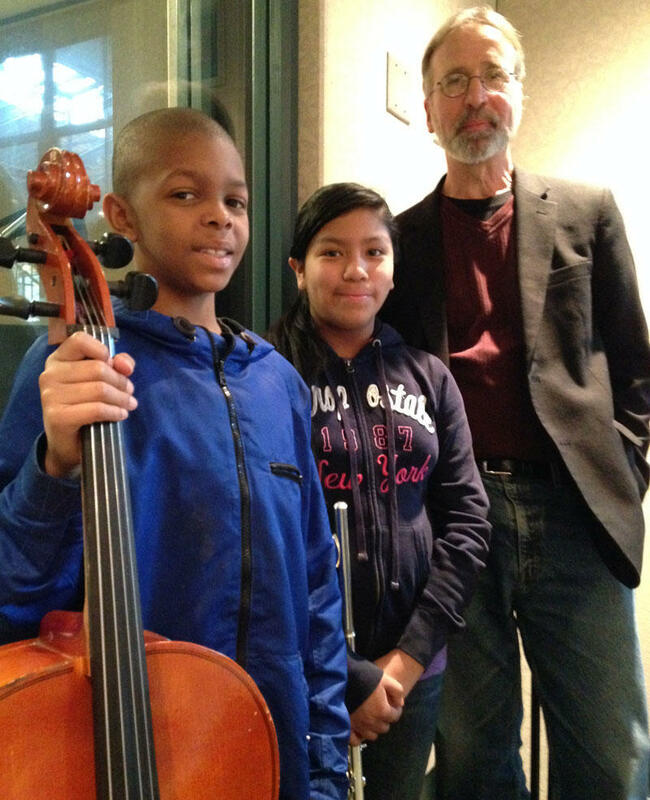 Kidznotes students Marcus Gee and Heyda Ortiz and their instructor, Oakley Lyon, perform live. Scott Lee grew up on the Gulf coast of Florida. Once in a while, on a clear night, at the right time of year, he could walk outside, look 150 miles to the East, and see the glow of a shuttle launch from Cape Canaveral. "As they rise upwards, they kind of start to curve," Lee said. " And it's a really interesting phenomenon, because they're still just going straight up. But to you, it looks like they're coming back down. So you start to wonder... 'Is something wrong?' "
Musician, arranger and conductor Dmitry Sitkovetsky has performed across the globe: from Ajerbaijan to Moscow and Los Angeles to New York.